Daniel J. Hall is director of choral activities at Lycoming College, where he conducts the Lycoming Concert Choir and Chamber Choir. He also serves as conductor of the Williamsport Chamber Choir and Orchestra. 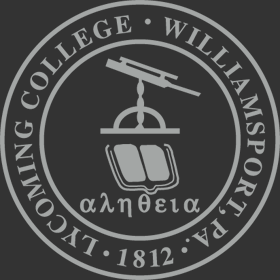 Before coming to Lycoming College, he served as director of choral activities at Ohio University (2012-2017), where he conducted the Ohio University Singers and Singing Men of Ohio and oversaw choral graduate studies. In 2003, Hall began his college conducting career as director of choral activities at West Texas A&M University, where he served until 2012. His teaching responsibilities have included graduate and undergraduate courses in conducting, choral repertoire, choral arranging, music theory, music history and choral methods. As a clinician, guest conductor, and composer, Hall has travelled extensively. Choirs under his direction have performed throughout the United States and abroad. In 2010, the West Texas A&M University Chamber Singers established a tradition of annual international touring – performing throughout England, Belgium and France, in venues such as St. Paul’s Cathedral, Oxford University, Gloucester Cathedral, Church of the Madeleine (Paris) and University of Leuven (Belgium). The choir toured Northern Italy in 2011 as part of the Classical Music Festival of Montova, performing in venues such as Saint Mark's Basilica, Venice and Teatro Bibiena, Montova. In 2012, WT Chamber Singers completed a tour to Southern France and Spain. Performance highlights included concerts in Barcelona Cathedral and Eglise Saint-Paul de Sancè. After arriving in Ohio, he established the Ohio University Choral Scholars. This select group travelled to travelled to Scotland and England in 2015, and was the only American choir featured at the London Sangerstevne Festival. 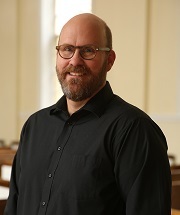 Dr. Hall was selected as one of ten full conductors to attend the 2014 Sarteano, Italy, Chamber Choral Conducting Workshop, where he studied with Simon Carrington and Bryan O'Connell, and in 2015, he was selected as a full conductor for the Westminster Choir College Conducting Institute at Oxford, where he studied with James Jordan and James Whitbourne. In 2015, he conducted the Ohio University Singers in concert with the Rolling Stones in Ohio Stadium. As an actively commissioned composer, Hall’s works have been featured in venues such as Carnegie Hall and Lincoln Center, with performances as far away as Venezuela and Ireland’s Cork International Choral Festival. His music has been widely featured at festivals and conventions, including national American Choral Directors Association conventions in Chicago, Oklahoma City, New York, Salt Lake City, Minneapolis, and divisional ACDA conventions in Kansas City, Memphis and Reno. In recent years, all-state festival choruses in Alabama, Arizona, Florida, Kentucky, Minnesota, New Hampshire, New Jersey, New Mexico, New York and Texas have performed his music. His scores are published with Walton Music, Colla Voce Press, Pavane and Santa Barbara. Hall has a D.M.A., in conducting from the Frost School of Music, University of Miami; an M.M. in conducting from Brigham Young University; and a B.A. in voice from Weber State University.